Known as the “crystal smile”, La Vie Est Belle is an ode to happiness. The famous La Vie Est Belle Eau de Parfum is reinterpreted with a floral fresh, petaly, generous and luminous signature of a peony and roses heart. La Vie Est Belle en Rose invites you to look at things differently, to regard life through the power of positive emotions. Like a filter of optimism on life, an invitation to always see the brighter side of life, its pink side, and to cultivate happiness through all its forms. Lancome's first Peony: Two of France's leading perfumers exclusively created for Lancome a fresh, petaly, generous and luminous philter of optimism composed of a peony and roses heart. 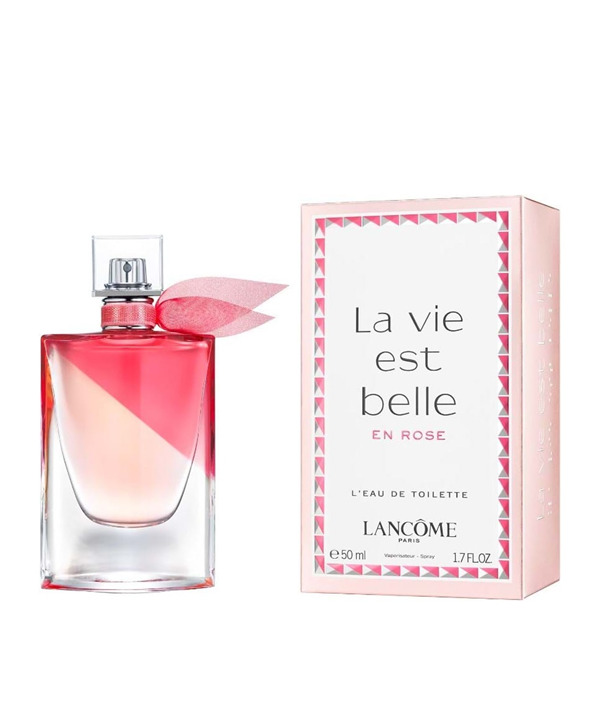 La Vie est Belle En Rose offers you a new take on happiness by inviting you to regard life through a filter of optimism.